Dr. Shane Sharpe has served as the Dean the Honors College since August 2010 and as director of the Randall Research Scholars Program (formerly Computer-Based Honors) since 2005. Dr. Sharpe holds a Bachelor of Science in pharmacology from the University of Kansas, an MBA in finance from the University of Dallas, and a Ph.D. in management information systems (MIS) from Texas Tech University. 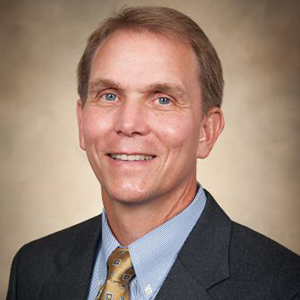 Following a 10-year career in the health care industry, Sharpe came to The University of Alabama in 1991 as a faculty member in the College of Commerce and Business Administration (C&BA). In 2005, Dr. Sharpe joined the Honors College, succeeding Dr. Cathy Randall as the director of the Randall Research Scholars Program, the University’s elite interdisciplinary undergraduate research program, which partners students with faculty research mentors. He is also the founding director of the Emerging Scholars Program, a freshman research initiative. Dr. Sharpe has received several top honors for excellence in teaching and service leadership, including the Morris L. Mayer Award, the National Alumni Association’s Outstanding Commitment to Teaching Award, and recognition as the Derrell Thomas Endowed Faculty Fellow in UA’s Culverhouse College of Commerce. His primary areas of research include asset management systems development, project management, and knowledge management systems.